M95 is an astonishing galaxy in the constellation of Leo; it is a barred spiral galaxy with almost circular arms, and is sometimes called an "annular galaxy". 38 million light-years away, it was observed for the first time by Pierre Méchain in 1781 and Charles Messier catalogued it in the same year. Containing many variable stars of the Cepheids type, it was chosen in 1995 as part of a project for determining the Hubble constant using the space telescope. 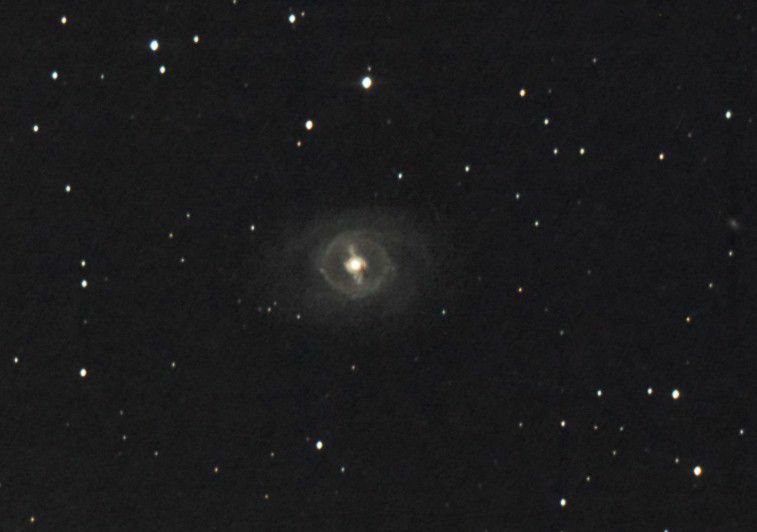 Like M96 and M105, M95 belongs to the Leo 1 group of galaxies and becomes visible as a milky spot in an amateur telescope. M95. Credit "baf", the person's pseudonym on the forum.